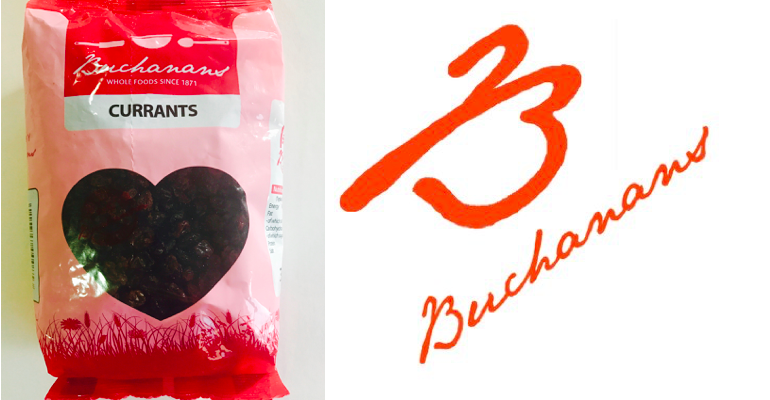 Buchanans Easter Hot Cross Buns | Food NI - Our Food So Good! Add the warm water, butter, milk powder, caster sugar, salt, whole egg, egg white, flour and yeast into a bread machine and start on dough programme or if you don’t have a bread machine mix all together and begin to knead together with your hands. When 5 minutes of kneading are left, add the Buchanans currants and cinnamon. Leave in machine till doubled or continue kneading with your hands until you reach this point. Drop onto a floured surface, cover and let rest for 10 minutes. Shape into 12 balls and place in a greased 9x12inch tin. Cover and let rise in a warm place till doubled (about 35-40 minutes). Brush the mixed egg yolk and water over the dough balls. Bake at 190 o C for 20 minutes. Remove from pan immediately and cool on wire rack. To make the crosses on top of the buns: Mix together the icing ingredients and brush a cross on each cooled bun.